It appears Smack Down has already been confirmed as the special move! 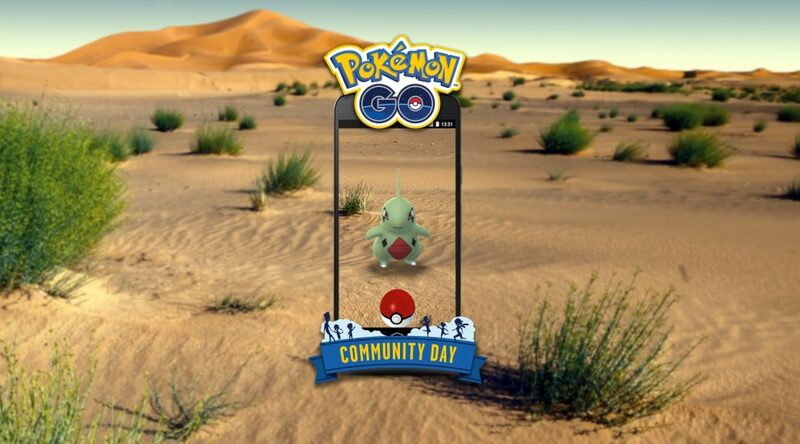 Save your Pinap berries, for Larvitar is the next Community Day event Pokémon in Pokémon GO! The Rock/Ground-type evolves into Tyranitar, which is one of the most sought after Pokémon in the game owing to strong moves, high CP and a good Attack stat. Players will see increased spawns over the course of three hours on the 16th of June, and also an improved chance to obtain a Shiny Larvitar. This time around, catch EXP with be tripled as well. While the special move for evolving into the final stage is typically announced closer to the day, both the Chinese and Japanese in-game news mention Smack Down to be the move. This is a Rock-type Fast Attack in the game and already has code added. This will likely make Tyranitar a fantastic Rock-type attacker. For those who already have a Tyranitar however, note that its Dark-type moveset of Bite and Crunch is still valuable. Sadly the announcements suggest using TMs during the event will not grant you Smack Down, however. This is also the first time the special move is a Fast attack. The next Community Day falls on Sunday the 8th of July. While not yet announced, it is likely the featured Pokémon then will be Squirtle, given the pattern thus far of “Starter, Rare Pokémon, Starter, Rare Pokémon” for Community Day events, increasing in Pokédex number. Are you excited about Larvitar’s Community Day event? If you play Pokémon GO, you ought to be!